The kitchen serves as more than just the source of a client’s meals. It’s the social hub of any home, as family members and friends flow in and out. To add to this already welcoming ambiance, trade pros can find amazing kitchen remodeling products at ProSource® of Monroeville. You and your client can meet with one of our kitchen design specialists to find the right wholesale products for your project. Kitchen cabinets offer stylish storage solutions for any space, and ProSource’s kitchen cabinets can add to the overall appearance of any kitchen. You’ll find cabinet faces made from fine wood and other materials that can be fitted to your client’s size dimensions and needs. 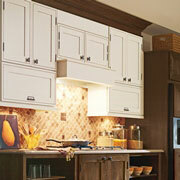 While you want your kitchen cabinets to look great, you also want them to be functional. 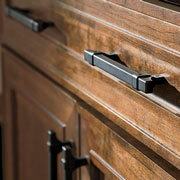 The right cabinet hardware helps you do both. We offer knobs, handles, and pulls in a variety of materials and finishes that can perfectly match your client’s new cabinets. A big investment like a new kitchen countertop doesn’t always come with a big price tag. At our Monroeville showroom, you’ll find luxury countertop options like marble and granite at affordable wholesale prices. 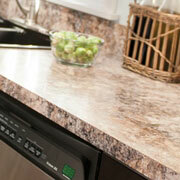 Make the most of your countertop budget at ProSource! 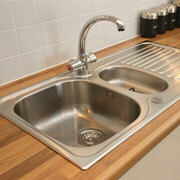 Modern kitchen sinks are offered in far more finishes and materials than just plain porcelain. Our kitchen design specialists can help you find a multi-basin sink made from cutting-edge materials like stainless steel and marble that seamlessly integrate into your client’s countertop. 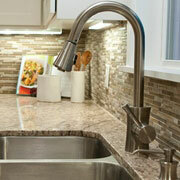 The best kitchen faucets perfectly balance function and form, offering clients a practical way to move water while also providing some measure of visual appeal. Our showroom offers trade pros kitchen faucets with new features like beverage and pot filling spouts, as well as ergonomic designs.